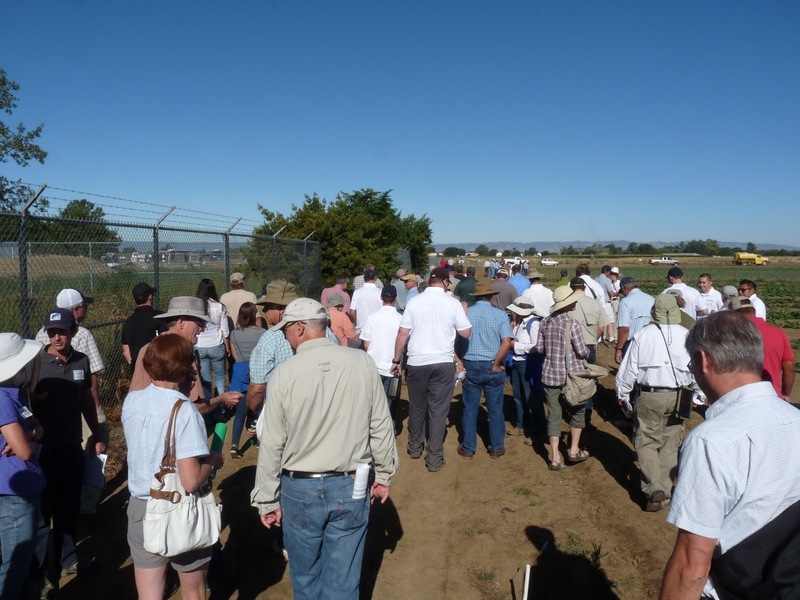 Weed Day attendees head to research field at UC Davis. A crowd of near 100 attended the UC Davis Weed Day on Thursday, July 11. 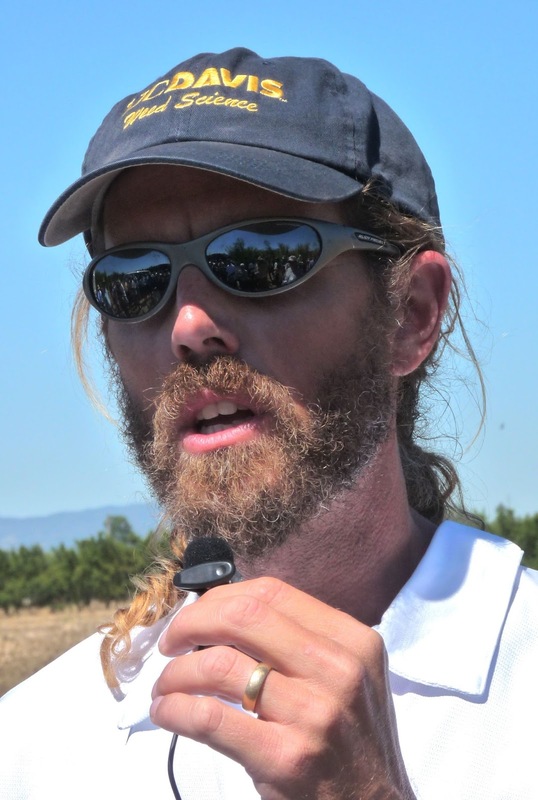 The popular event is hosted by the UC Davis Weed Science Program and UC Weed Research and Information Center. 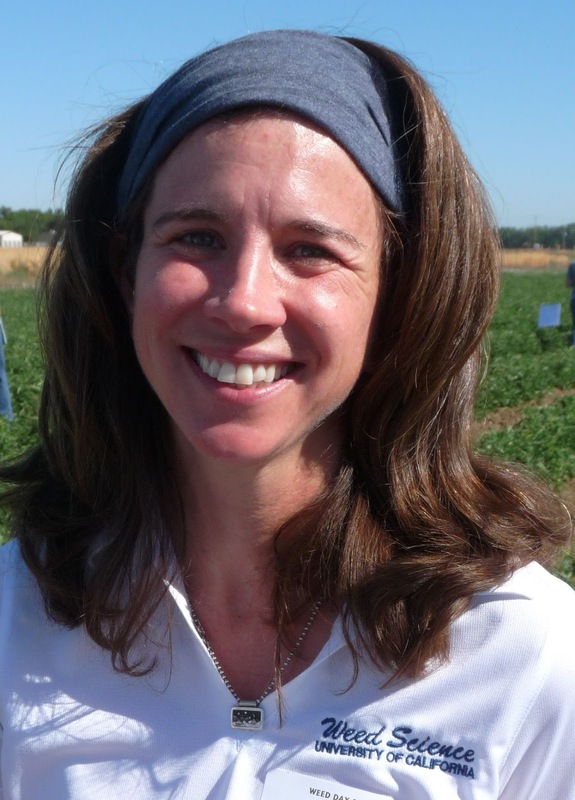 Topics discussed included melons and weed response to herbicides, by Lynn Sosnoskie and Brad Hanson, UC Davis. They reported that herbicides are available for postemergence use in melon production, but only on grass species, not broadleaves. Melon growers are in need of new pre and post options as well as a new weed management program to effectively control troublesome weeds. Sosnoskie and Hanson also focused on field bindweed management in processing tomatoes. Field Bindweed is a deep-rooted, hardy perennial that propagates and spreads via asexual (rhizomes) and sexual (seed) means. Once established, the species is extremely difficult to manage. The goal of the research was to evaluate the efficacy of pre/post herbicides for field bindweed control in early and late planted tomatoes. In the early planted tomatoes all herbicide treatment combinations reduced both perennial and seedling bindweed density and cover. On the late planted tomatoes, the use of glyphosate, preplant, reduced in-crop field bindweed cover at two weeks after transplanting across treatments. For instance, Hairy Fleabane can be controlled very well during the bolting stage with Rely herbicide at 3 pints per acre with AMS at 2 quarts per 100 gallons. More information on this meeting will be published in Vegetables West Magazine.